Picture this: You’re in a business meeting with the CEO of your company and you are part of a content creation committee. Your business is losing money and it’s going out the door fast. Your boss asks you to come up with a few ideas on how to keep business from going to your competitors. What do you do? How do you save your business? Do you lower prices? No, it’s not necessary. Do you create more products to expand your customer base? No. When you need to turn your business around or when you are trying to dominate your market, the secret lies in the customer experience. It’s not all about prices or products; it’s about the experience the customer has with you and your business. 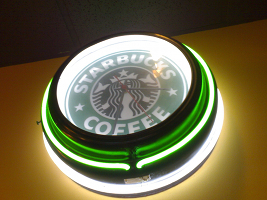 We all know that Starbucks is in the coffee business and they are a pretty dominating force. They serve millions of lattes, mochas, and fraps each year to citizens looking for their coffee fix. But, have you ever considered why a coffee chain with extravagant prices and small serving sizes is so popular? With Starbucks coffee, you don’t just brew up your typical Foldgers blend and add whipped cream. Instead, you get to see your coffee created from the bean. And, once the barista has handed over your beverage, you can sit and enjoy a cozy atmosphere with good music and comfy furniture. When you buy a Starbucks coffee, you aren’t paying for the drink; you’re paying for the experience of the drink. If you can learn how to create a great customer experience, you can set your prices a little higher and grab a large portion of the market share. Customers don’t want to be another number or another dollar. Customers want to have an experience that is memorable and that leaves a good impression. If you can create that, you’re golden. Now that you know what your customers want, it’s time to give it to them. Price and products don’t necessarily create positive customer experiences. You need to realize that changing the price on your product isn’t going to instantly make the customer experience better. Very few customers mind paying a higher price for a product they know offers them a better experience than similar options. This is not an exhaustive list but it should get you started. My hope is that you begin to focus on the customer’s experience rather than the price they are paying. If you focus on the customer, you won’t be going out of business any time soon. Some businesses tend to focus on semantics and a pretty look rather than the customer and they end up falling out in the end. The secret to earning more money with your products has nothing to do with price manipulation or customer content. It has everything to do with the customer experience and how they perceive your business. If you leave a good impression, they’ll keep coming back for more.